The Tasracing Board consists of seven members made up of a Chair and six directors one of whom is Vice Chairman. 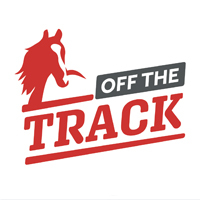 The make-up of the board comprises one person with experience in the thoroughbred code, one person with experience in the harness code and one person with experience in the greyhound code. The Board of Tasracing comprises directors with the appropriate range of skills, experience, qualifications, expertise and vision to govern the company. Directors are appointed for a maximum of three years. Mr Wallace joined the Tasracing Board in December 2015, and was appointed Vice Chairman in December 2016. A chartered accountant, Mr Wallace is currently Chief Executive Officer and Director of 6ty°, an architectural, surveying and engineering firm based in Launceston, Tasmania. He is formerly a Manager with KPMG. Immediate past president of the Launceston Pacing Club, Mr Wallace is actively involved with the harness industry in Tasmania. Mr Wallace chairs Tasracing’s Asset and Safety Committee and Racing Rules & Policy Committee. Ms Price has been a director of Tasracing since 2010 and was re-appointed for a further term in 2016. An experienced communications and public affairs executive, Ms Price was formerly Vice President Media and Communications for BHP Billiton, and former Manager Public Affairs for WMC Resources. Ms Price is a member of Tasracing’s HR & Remuneration Committee, Nomination Committee and Director Selection Advisory Panel. Mr McCarthy has been a director of Tasracing since 2010 and was re-appointed for a further term in 2017. A chartered accountant, Mr McCarthy is currently a Partner with Hobart firm Wise Lord & Ferguson, specialising in audit and financial consulting. He was formerly a director of DJ Motors Pty Ltd and of Motor Accidents Insurance Board. Mr McCarthy is chair of Tasracing’s Audit and Risk Committee. Mrs Galloway joined the Tasracing Board in July 2016. An experienced executive in the commercial wagering and gaming industries, Mrs Galloway was formerly Vice President of Casino Development and Strategic Analysis with Marina Bay Sands in Singapore, the largest casino operator in the world. A certified practising accountant, Mrs Galloway has held a number of board positions, including the Canterbury Hockey Club in Hobart and the Singapore Hockey Federation. Mrs Galloway is a member of Tasracing’s Audit and Risk Committee and Asset and Safety Committee. Mr Gordon joined the Board in September 2016. A Director of PDF Management Services, a management consulting firm based in Hobart, Mr Gordon has had a broad and diverse career, across the training, employment and youth sectors; 14 years with Fire Services in Tasmania and South Australia and as a small business owner and operator. 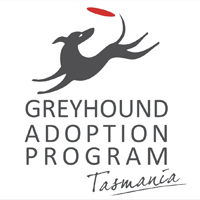 A former breeder and owner of greyhounds, Mr Gordon also has a long standing association with the harness and thoroughbred codes, both as a participant and committee member. He holds a Bachelor of Business from the University of South Australia and is a Graduate of the Australian Institute of Company Directors. Mr Gordon is a member of Tasracing’s Racing Rules and Policy Committee. Mrs Whishaw joined the Tasracing Board in December 2016. Known to many in the racing industry, Mrs Whishaw owns and operates Armidale Stud in Carrick, a leading breeder in Tasmania. She has also chaired the Thoroughbred Advisory Network (TAN) for several years prior to her appointment as a director of Tasracing. Formally a teacher with the Department of Education in Tasmania, Mrs Whishaw is passionate about the future of racing in Tasmania and enjoys working with participants to achieve beneficial outcomes.